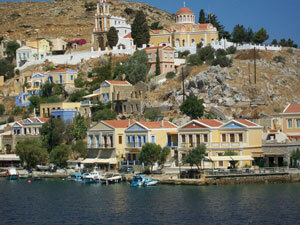 Dodecanese means ‘Twelve Islands’, although they are actually twelve bigger and a few smaller ones! They are located at the south-east corner of the Aegean Sea and here you'll find some of the most beautiful and remote islands in Greece, as well as many historical sites, three of which are UNESCO-listed World Heritage sites. Although this island group is quite far from mainland Greece, it’s really worth making that little extra effort getting there, as they offer spectacular sceneries! The sailing conditions are great, you’ll find pretty villages, picturesque harbors, interesting volcanic formations, ancient sites, Venetian castles and of course the famous Greek hospitality that you always experience on the small islands off the beaten track! You may have heard about some of the bigger and more well-known islands like Samos, Kos and Rhodes, but very unlikely you’ve heard about Leros, Patmos, Lipsos, Nisyros, Tilos, Chalki and Symi! You shouldn’t miss them and as the best way to visit the smaller islands is by sailing yacht, come onboard and let us take you to some of the most picturesque corners of Greece! 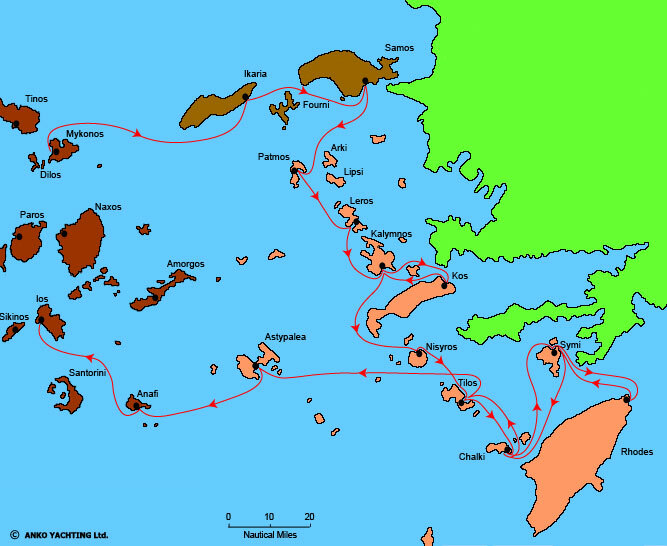 For April and May 2014 we have planned 6 one-way cruises around the Aegean Islands, three of which will take us through the Dodecanese. Below you can read more about the itineraries and the islands we will visit. 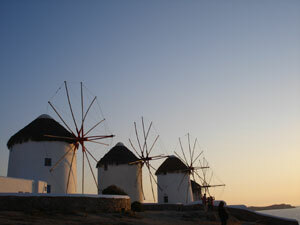 Mykonos: One of the most famous islands in the Cyclades with its picturesque town and busy nightlife. Before your cruise you could spend a couple of days on the island, wonder around the labyrinth of tiny alleys between the picturesque cube-like whitewashed houses, soak the atmosphere and visit the archaeological site of Delos, which is one of the UNESCO-listed World Heritage sites. Ikaria: Named after Ikaros (the son of Daedalus) from the Greek Mythology, who flew too close to the sun with his wings that he made of wax. The wax melted and he fell to his death on this island, which took his name. 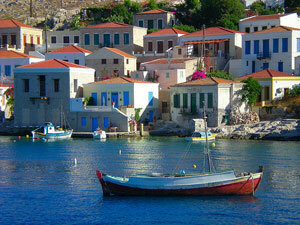 Its inhabitants have the highest life expectancy of all islands in Greece!! Maybe it’s because the pace of life here is too slooow! Samos: You can visit the Temple of Hera, the archaeological museum, the tunnel of Eupalinos or just relax and explore Pythagorio which is a charming harbor. 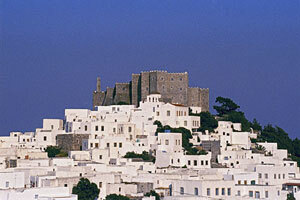 Patmos: Here is another UNESCO-listed World Heritage site that you can visit on this cruise, the famous Byzantine monastery of St. John. Leros: You can relax around the harbor or if you feel more active you could walk to the Byzantine citadel and enjoy the views from there. 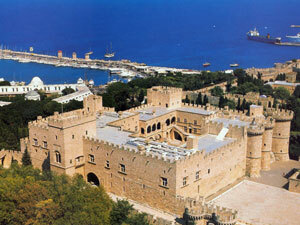 You can also visit the archaeological museum. Kalymnos: This island is well known for its sponge divers who travelled around the Aegean and Mediterranean Sea performing this dangerous profession which was passed from father to son. You can visit the Maritime Museum which is dedicated to the life and customs of the sponge divers, the ‘House of Kalymnos’ which is a small folk museum showing everyday life at the end of the 19th century and the archaeological museum. Kos: You can easily spend an extra day here at the end of your cruise, which is the birthplace of Hippocrates (the father of medicine). Wonder around the streets of Kos town with its Venetian architecture, visit the medieval castle, the ancient city, the famous Askipieion and the 2500 year old Hippocrates’ plane tree. There are many ferries between Piraeus (the port of Athens) and Mykonos and also between Kos and Piraeus. Additionally, there is an airport at Mykonos as well as Kos and you can get a domestic flight from/to Athens (Aegean Airlines or Olympic Air) or direct charter flight from some European cities. You can easily get to Piraeus from Athens airport or city center by using the public transport system (metro or bus) or a taxi. Kos: You can easily spend an extra day in Kos before the beginning of your cruise, which is the birthplace of Hippocrates (the father of medicine). Wonder around the streets of Kos town with its Venetian architecture, visit the medieval castle, the ancient city, the famous Askipieion and the 2500 year old Hippocrates’ plane tree. Nisyros: Walk around the caldera and explore the crater of the active volcano, visit the volcanological museum, the Paleokastro which is the classical period acropolis of the ancient city, or the medieval castle. Tilos: A green remote island which is a vast ecological park, protected by various treaties. Four hundred species of flowers and herbs exist here, as well as numerous rare birds, but this is also the place where the last elephants of Europe existed until 4000 years ago, the Dwarf Elephants. You can visit the little museum where the remains of the elephants are kept, the medieval castle, a couple of monasteries or relax around the harbor. Chalki: A beautiful small island, which shouldn’t be missed. The setting around the harbor is delightful, with colorful fishing boats at anchor, a picturesque village and a backdrop of rugged mountains. Symi: As we are approaching the harbor you will realize that this village climbing from the sea to the top of the hill, is one of the most picturesque sights in the Mediterranean! Rhodes: You should definitely plan to spend at least one day in Rhodes at the end of your cruise as you will love the atmosphere of the place. Walk around one of the largest medieval towns of Europe (another UNESCO World Heritage Site) and you can easily imagine that you’ve travelled back in time; visit the walls, the bastions, the old houses, the Palace of the Grand Master, the little quiet squares, the busy and cosmopolitan ones. If you can spend a few days on the island, visit the traditional settlement of Lindos at the south coast and walk around its acropolis and drive around the island as it has many pretty sites. There are ferries between Piraeus (the port of Athens) and Kos and also between Rhodes and Piraeus, but domestic flights are not expensive (around 80-100 Euro one-way) and are a lot faster than ferries. There is an airport at Kos as well as Rhodes and you can get a domestic flight from/to Athens (Aegean Airlines or Olympic Air) or direct charter flight from many European cities. To get the ferry you can easily get to Piraeus from Athens airport or city center by using the public transport system (metro or bus) or a taxi. Rhodes: You should definitely plan to spend at least one day in Rhodes before your cruise as you will love the atmosphere of the place. Walk around one of the largest medieval towns of Europe (another UNESCO World Heritage Site) and you can easily imagine that you’ve travelled back in time; visit the walls, the bastions, the old houses, the Palace of the Grand Master, the little quiet squares, the busy and cosmopolitan ones. If you can spend a few days on the island, visit the traditional settlement of Lindos at the south coast and walk around its acropolis and drive around the island as it has many pretty sites. Astypalaia: Located where the Dodecanese meet the Cyclades, Astypalaia with its white-washed houses has one of the most picturesque towns in the Aegean. Anafi: Another very picturesque island in the Cyclades where you can just wander around the ‘chora’ or visit the ancient town of Anafi with its necropolis, the monumental tombs and their sculptures. Ios: Famous for its 365 churches, Ios is also known as the final resting place of Homer. You can relax around the harbor or spend a few hours exploring the little streets of the ‘chora’, enjoying the Cycladic architecture and the magnificent views from the top of the hill. The reason we chose Ios as the finishing port is that after your cruise we would suggest that you take the 50 minute ferry ride from here to the neighboring island of Santorini which shouldn’t be missed!!! Santorini: Also called Thira, is a spectacular island and although it’s a major tourist destination it still shouldn’t be missed. It’s practically a half-sunken volcano (still active) with the picturesque ‘chora’ built on the rim of the caldera, at the edge of a vertical rock rising 200 meters from the sea. The views are spectacular and you will enjoy some of the best sunsets!! Unfortunately because the sea is 200 meters deep, there is no safe harbor for a yacht to visit. There are ferries between Piraeus (the port of Athens) and Kos and also between Rhodes and Piraeus, but domestic flights are not expensive (around 80-100 Euro one-way) and are a lot faster than ferries. From Ios to Piraeus (Athens) there are numerous ferries every day. 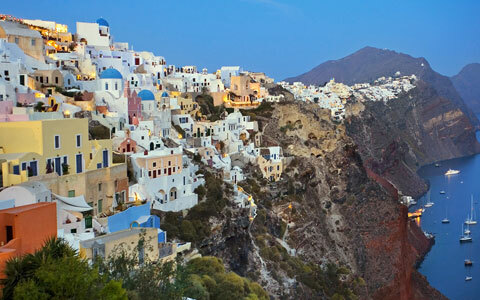 Additionally, there is an airport at Santorini and you can get from there by domestic flight to Athens (Aegean Airlines or Olympic Airlines) or direct charter flight from many European cities. As it takes only 50 minutes by ferry from Ios to Santorini, a good idea would be to combine your cruise with a stay at Santorini, as it's really worth to spend a bit of time on that spectacular island.